Rabbi Yosef Feldman (photo: Aaron Francis). MEMBERS of Melbourne’s Jewish community have called for the immediate resignation of the board at the disgraced Yeshivah Centre in the wake of a damning royal commission probe. While several high-profile rabbis have already ­resigned from positions — ­including the nation’s top rabbi, Meir Shlomo Kluwgant - the management committee has escaped the same level of scrutiny. Now an online petition, ­individually naming seven people, has called for the entire committee of management to resign. “We the individuals & families of the Yeshivah community, together with members of the wider Jewish community, call for the immediate resignation of the members of the Committee of Management,” it says. It names members Michael Goldhirsch, Shlomo Werdiger, Merv Adler, Shimshon Yurkowitz, Chaim New, Yirmi Loebenstein and Chaim Raitman. “They do not have the confidence of the community. The petition, at change.org, had already attracted 97 signatures by Monday night. The two-week probe into the Yeshivah Centre last month, by the Royal Commission into Institutional Child Sexual Abuse, uncovered ­decades of cover-ups and ­mismanagement that enabled child abuse. Among those to resign, Rabbi Abraham Glick, principal of Yeshivah College between 1986 and 2007, admitted serious failings by the college leadership under his watch, during which at least 13 students were molested. 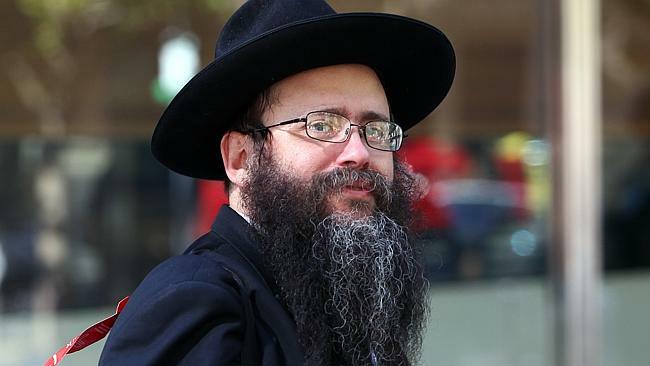 Sydney Rabbi Yosef Feldman was also forced to stand down from the board of the Yeshivah Centre, after sparking widespread criticism with his views on child sexual abuse.